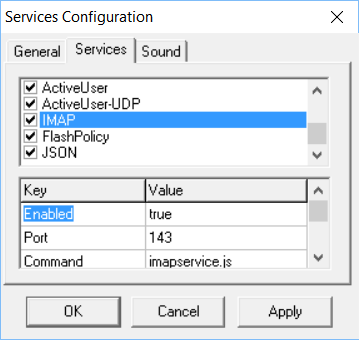 The IMAP TCP/IP application protocol is more secure and feature-full than the old POP3 protocol built-into the Synchronet Mail Server. The IMAP protocol (version 4) can be used for retrieving mail from a Synchronet system by using Deuce's imapservice.js. NOTE: The IMAP protocol is more complex than the POP3 protocol built-into the Synchronet Mail Server and this service script is not as well tested. Test results or patches should be sent to Deuce.